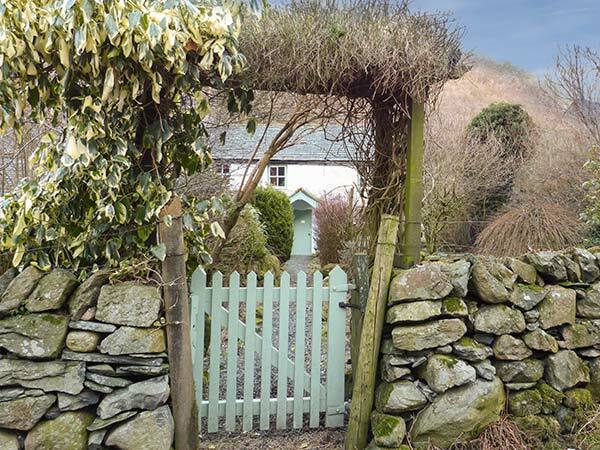 Stonethwaite Cottage is a semi-detached cottage, attached to the owners' home on their traditional hill farm, in the hamlet of Stonethwaite in the Lake District. The cottage sleeps seven people and has one double bedroom with en-suite shower, one double with basin, one twin with basin and one single together with family shower room and separate basin and WC. Also in the cottage are a fitted kitchen, dining room and sitting room with open fire. There is ample parking outside and a garden. 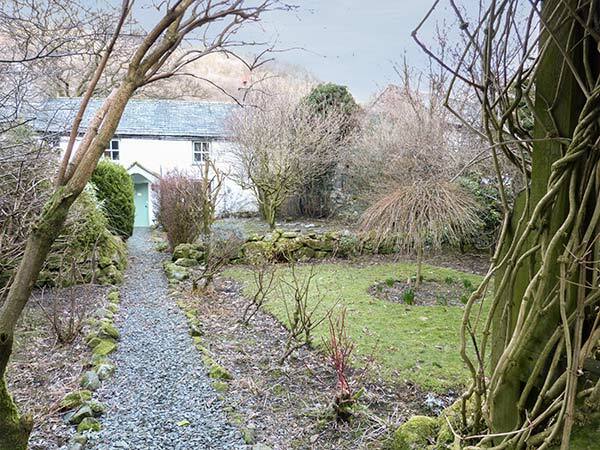 Situated in the heart of the Lake District, Stonethwaite Cottage is a lovely family holiday cottage to be visited any time of the year. Four bedrooms: 1 x double with en-suite shower, basin and WC, 1 x double with basin, 1 x twin with basin, 1 x single. Shower room with shower, basin and WC. Basin and WC. Kitchen. Dining room. Sitting room with open fire. Oil central heating with open fire. Electric oven, gas hob, microwave, fridge, freezer, dishwasher, TV with Freeview, DVD, WiFi, selection of books and games. Fuel, power and starter pack for fire inc. in rent. Bed linen and towels inc. in rent. Travel cot and highchair on request. Ample off road parking. Lockable bike storage. Garden with bench. One well-behaved dog welcome. Sorry, no smoking. Shop 1 mile, pub 2 mins walk. Note: Situated on working farm with livestock and seasonal campsite on farm. Note: No mobile signal, payphone 100 yards from cottage. Note: There is an interconnecting door between the property and the owners' home. This is kept locked at all times.